Opus Web Design is now a certified Shopify Partner. Shopify is the world leading eCommerce platform. So if you are looking for an online store or eCommerce Website then contact Opus Web Design now and we can have you selling your products online from as little as €699. And if that great price isn't enough here's 10 great reasons to choose Shopify. Once we've take care of the design end of things you'll be able to use shopify to manage your products and all other elements of your online shop with ease. 2. Security and customer trust. Customers are more likely to trust and trade on credible e-commerce stores. Shopify provides security equal to your internet banking. 3. A reliable hosted solution. 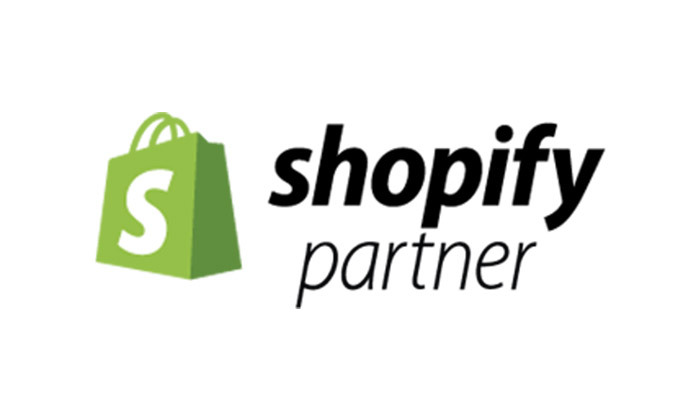 Shopify hosting is included in your monthly subscription. Complete with automated backups and updates to keep your side secure, it copes well during web traffic spikes with minimal downtime. Shopify provides a single unified platform to sell the same products across multiple channels, making it a breeze for businesses also selling through pop-up shops, social media, online marketplaces or within native mobile apps. With all of your customer and product information in one place, you no longer need to duplicate efforts. Customers enjoy a consistent experience across all your channels. 5. Mobile friendly and secure. Every theme comes with a beautiful, secure and optimised free mobile commerce checkout. 6. No surprise costs on your invoices. Shopify offers five pricing plans with varying features. There’s a price option for all types of businesses, from start-up to advanced. Unlike many other platforms with hidden costs, Shopify is completely transparent about its credit card fees, enabling you to work out a rough monthly fee based on the anticipated number of transactions. Even though Shopify isn’t necessarily the cheapest, its reliable technology eliminates potential downtime and lost sales. Rather spend time making money and growing your business, than trying to master a complex platform. Shopify makes day-to-day tasks super fast and easy. 8. Your SEO rankings won’t be negatively affected. Considering moving to Shopify? An SEO Shopify expert will help you manage the transition to help you keep your strong rankings. 9. Shopify Plus – An Enterprise Level Solution. Concerned about outgrowing your solution? Shopify Plus offers unlimited bandwidth and no transaction fees for high-volume and fast-growing merchants. Communities such as Shopify’s Ecommerce Forums, Ecommtalk and GitHub present excellent opportunities to learn new skills from successful entrepreneurs and experts. This is invaluable for inexperienced beginners.